Joe Browns Scrumptious Shoes Are Smart And Stylish. The Upper Black Layer Has A White Polka Dot Print With An Elegant Red Lace Fabric On The Borders. The Red Stones Studded Strawberry And Matching Green Studs Create A Stunning Contrast To The Deep Black Background. 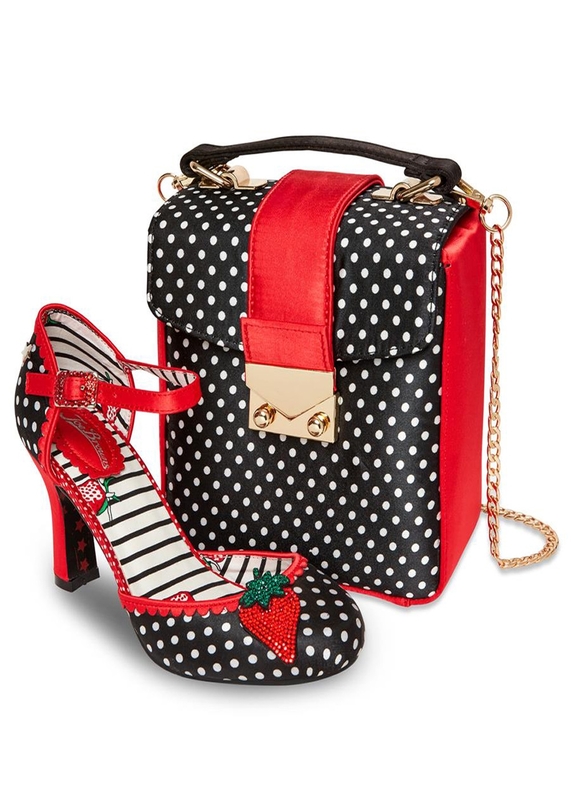 Joe Browns Scrumptious Fashion Shoes Feature A Red Satin Ankle Strap With Adjustable Red Stones Studded Buckle Fastening Plus The Joe Browns Gold Colour Metal Star Charm At The Heel. 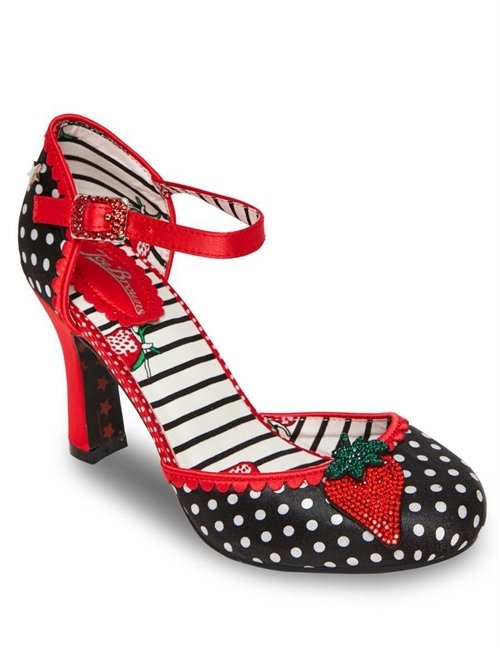 The Smooth Red Satin Covered Heel And Black Soles With A Red Star Print Complete The Stylish Look.